PARTY CUPS WITH PERSONALITY. Who knows how to liven up a party? YOU do! Each of these photo-realistic paper cups comes embalzoned with a new nose. When you tip your head to take a drink - voila -- you get an instant nose job and a chuckle from the crowd. There are 24 - 12 oz. 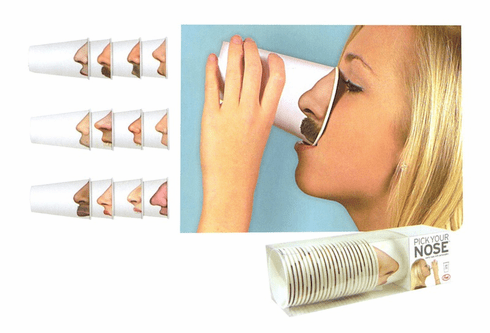 cups in each pack of PICK YOUR NOSE, evenly divided between male and female proboscises (errr...noses).